The DeSoto County School Board approved several new administrators who will assume their new positions on July 1, 2017. Freddie Joseph will be the new Executive Director of Safety and Risk Management. 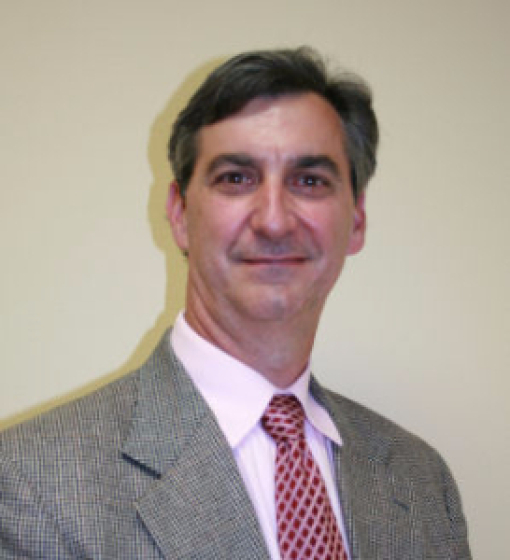 Mr. Joseph has served as principal of Hernando High School for 16 years. He will be replacing Kyle Brigance, who will retire in June. Levi Williams will be the new Director of Transportation. 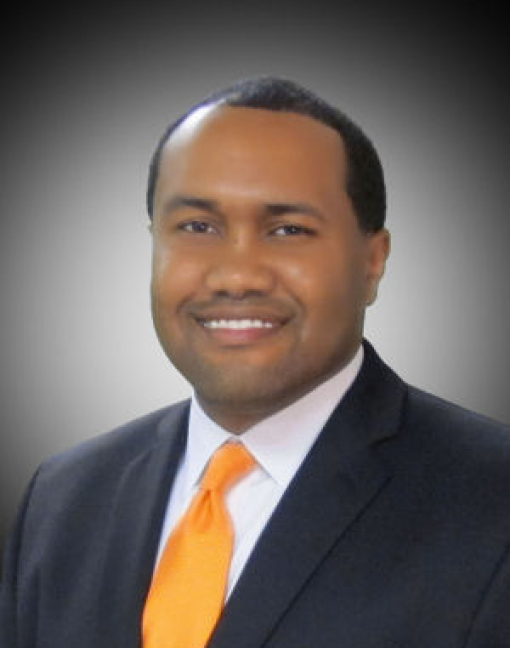 Mr. Williams has served as principal of Southaven Middle School for eight years. He will be replacing John Caldwell, who will retire in July. 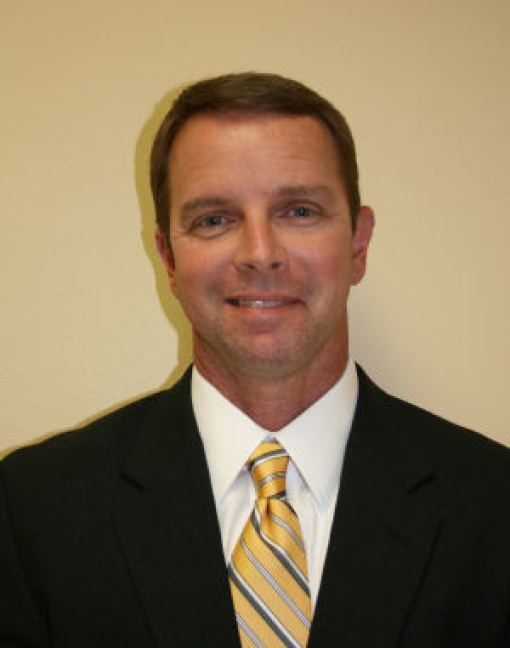 Duane Case will be the new principal at Hernando High School. 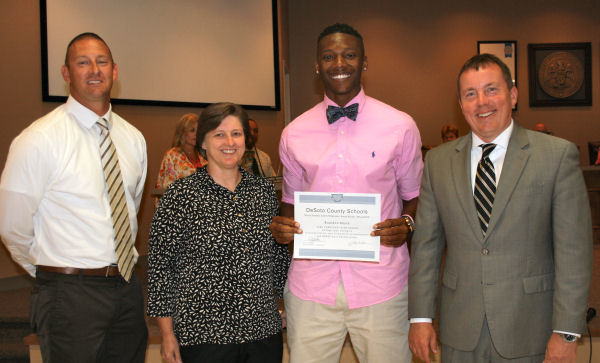 Mr. Case has been the principal at DeSoto Central Middle School for eight years. He also served as a teacher and coach at Hernando High School from 1994 to 2006. Bryon Williams will be the new principal at DeSoto Central Middle School. 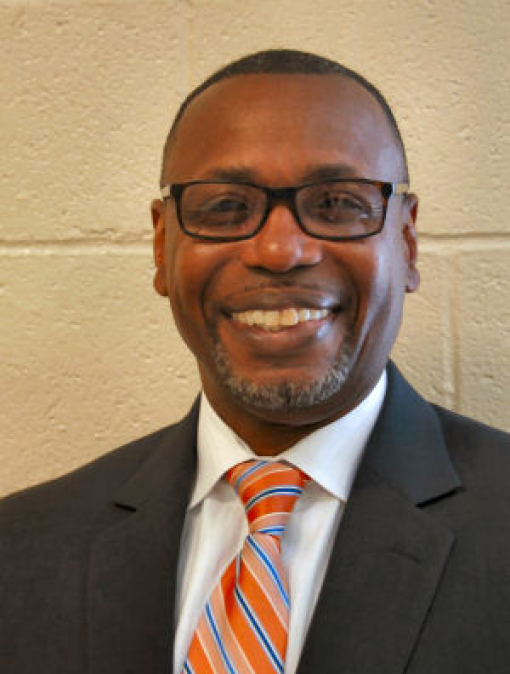 Mr. Williams served as the principal of Southaven Intermediate School for the 2016-2017 school year. He also served as assistant principal at DeSoto Central High School from 2012 to 2016. 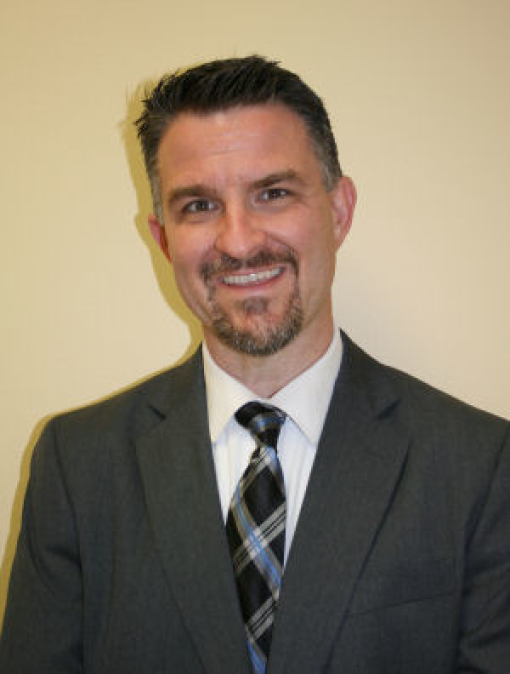 Paul Chrestman will be the new principal at Southaven Middle School. Mr. Chrestman has served as principal of the Career Technical Center West for five years, and he also served as principal of Hernando Middle School from 2009 to 2012. 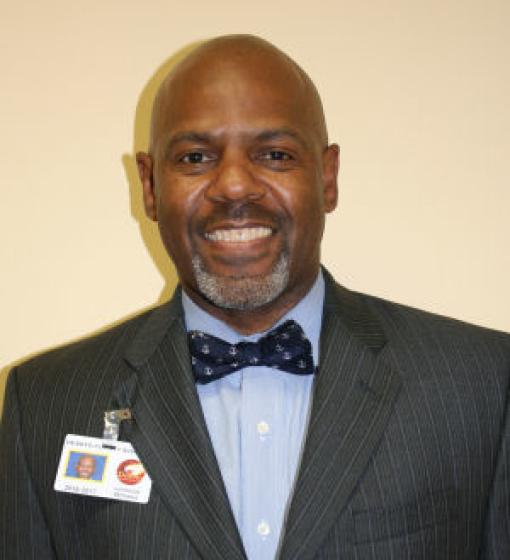 Kenneth McKinney will be the new principal at Southaven Intermediate School. Mr. McKinney has served as assistant principal at Horn Lake Intermediate School. Earning a score of 30 or higher on the ACT is an accomplishment that places a student in approximately the 95th percentile nationally. 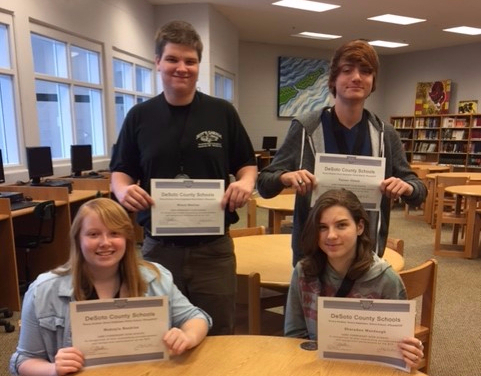 In the 2017 senior class, 118 DCS students had a composite score of 30 or above on their ACT. A number of universities offer merit aid to students who meet certain academic criteria. Earning a strong ACT score is potentially worth a substantial amount of money in scholarships. 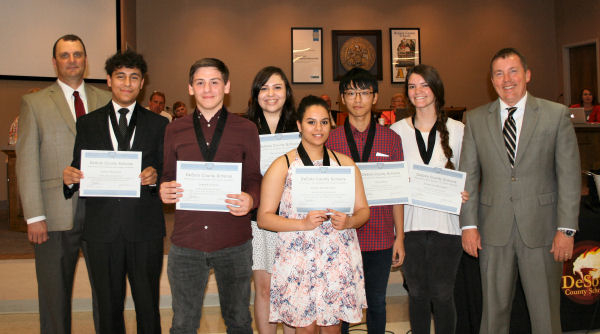 This group of elite students, representing all eight high schools, was presented silver medals at the Board of Education for their academic achievements. Across Mississippi, every high school player and coach has the goal of attaining a state championship. In competitive events, there are countless hours of preparation and a dream to be the last one standing when the season ends. 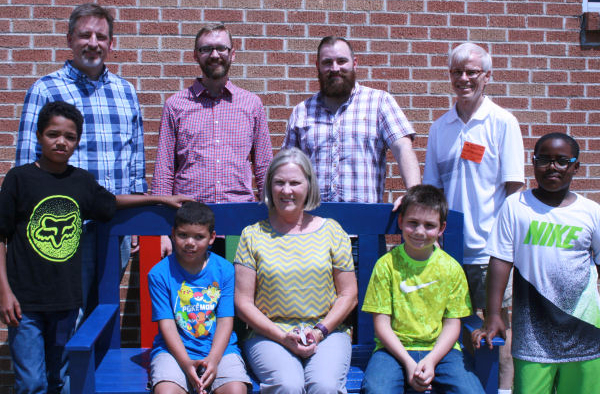 Southaven Elementary has a new, colorful “Buddy Bench”, thanks to the “Charger Men of SES”. 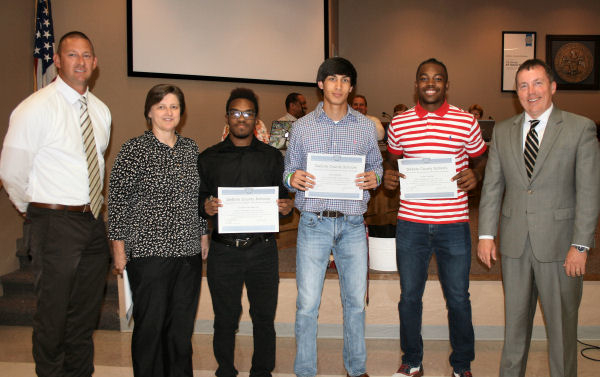 The young men have participated in the Southaven Mentoring Program. This after-school program matches students with responsible adult volunteers who meet after school each week with their mentees. The Buddy Bench is a simple idea to eliminate loneliness and foster friendship on the playground. A Buddy Bench is a plan of inclusion and kindness. 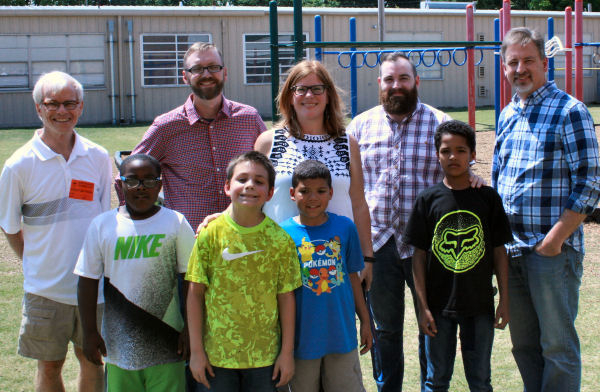 Southaven Mentoring is a program supported by two area churches—Trinity Baptist Church and Colonial Hills Church. 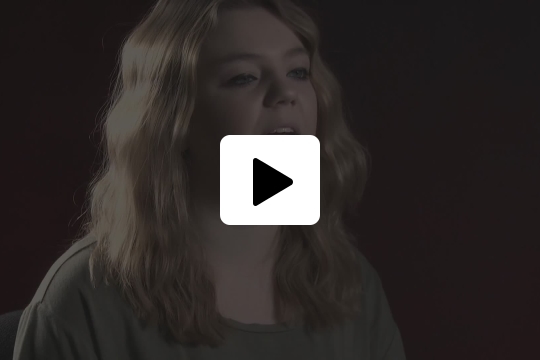 What does a participating student think of the program? 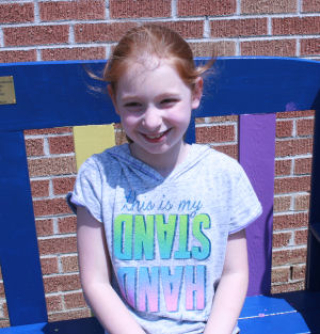 The original request for a Buddy Bench came from second grade student Everlynn Campbell. The principal thought it would be a good addition to the playground and mentioned it to the mentor group. A brass plate on the Buddy Bench notes the Charger Men of SES who made this bench possible. 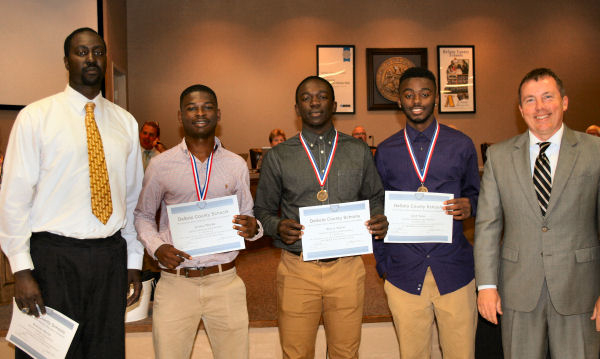 They are: Nicholas Cowan, Jaylenn Huddleston, Malik Perry and Christopher Rerragas. Their mentors were Brad Strom, Colonial Hills; Jeff Summers, Trinity Baptist, James Powell, Colonial Hills, David Goodling, and Lloyd Mitchell, Trinity Baptist. 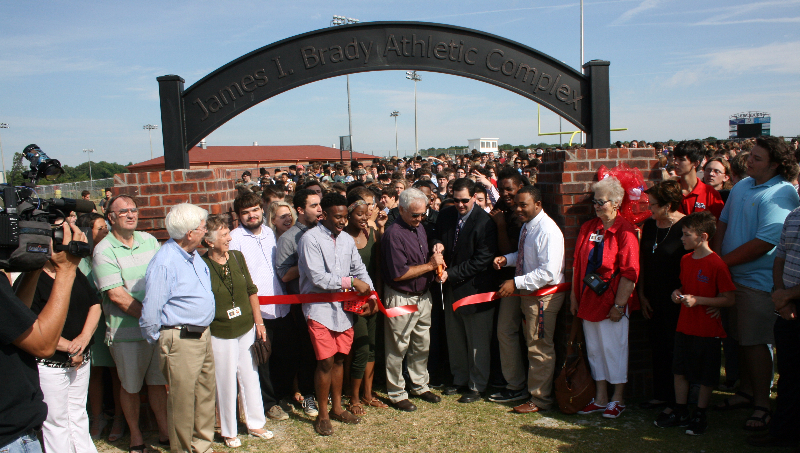 Before a crowd of students, families, representatives of the Board of Education, faculty, staff, and community members, the ceremony kicked off with LHS Principal Chris Fleming talking to more than 1,000 students who had gathered around a new brick and metal arch that leads to the football field. The DeSoto County School Board approved the naming of the James I. Brady Athletic Complex on April 4, 2016. Building the archway took planning, effort and time. 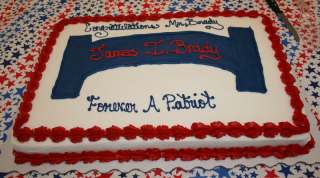 In 2006, Brady moved from Southaven Middle School as principal and became the original principal at Lewisburg High. 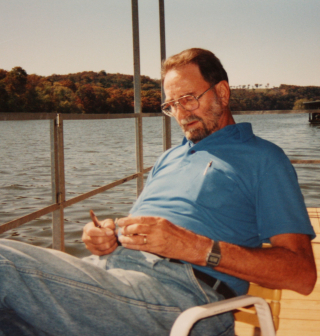 He served as principal at LHS for seven years. 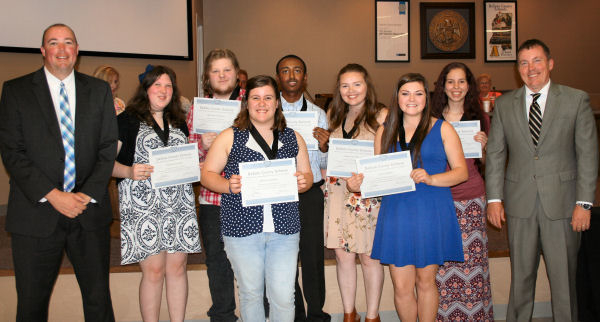 When a group of elite seniors from DeSoto County Schools walks across the stage to receive their diplomas, they will wear sky blue cords to signify they are a part of the Superintendent's Youth Leadership Council (SYLC). 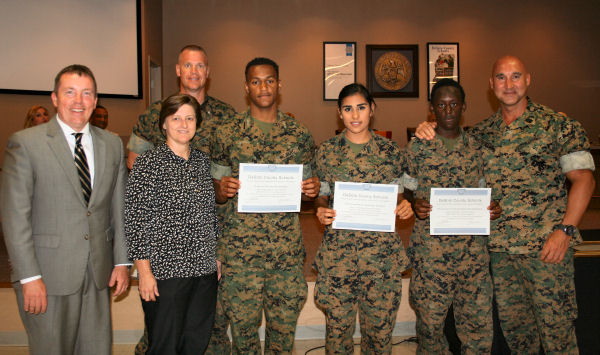 They were given their cords at an SYLC graduation ceremony, ending a two-year involvement in the program. The Superintendent's Youth Leadership Council is comprised of 32 student representatives from DeSoto County Schools' eight high schools. 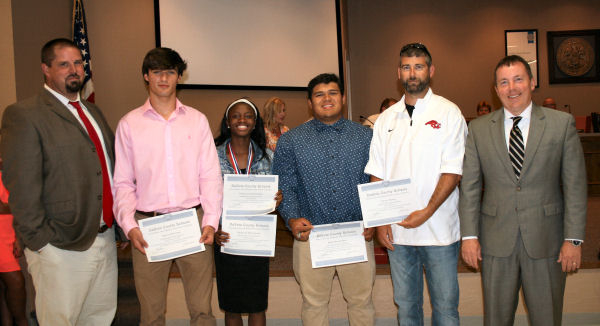 The sponsors are Anne Goss, counselor at Hernando High School, and Jeff Shands, U.S. history teacher and cross country coach at DeSoto Central High School. 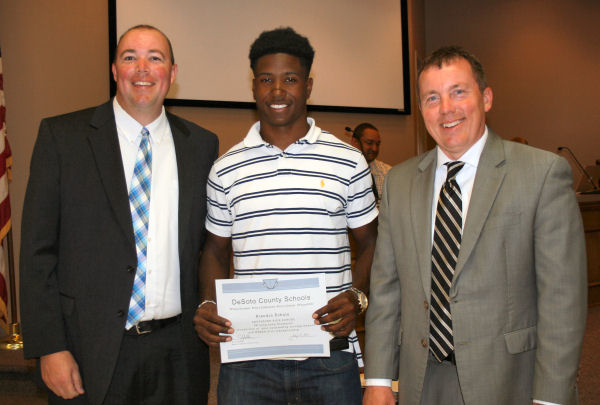 "These students were chosen for their academic and leadership skills," said Goss. "Working with this program for the past five years has been one of the biggest blessings of my career." 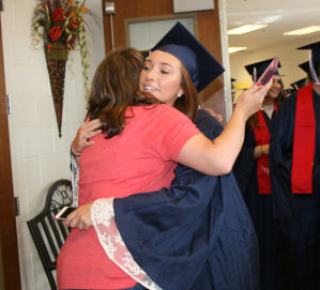 The program started in 2006 when an anonymous donor wanted to do something for DeSoto County Schools. He approached Tom Pittman, president of the Community Foundation of Northwest Mississippi. Representatives from the school district suggested a youth council designed to help high school students develop leadership skills. Students complete a rigorous application process before being accepted into the two-year program. Once accepted, the program runs the length of their junior and senior years. The Council is required to complete a service project. This year the Leadership Council had two. In December, they went to LifePointe Village in Southaven and Wesley Meadows Retirement Center in Hernando. The students sang Christmas carols, made crafts with residents and provided treats. 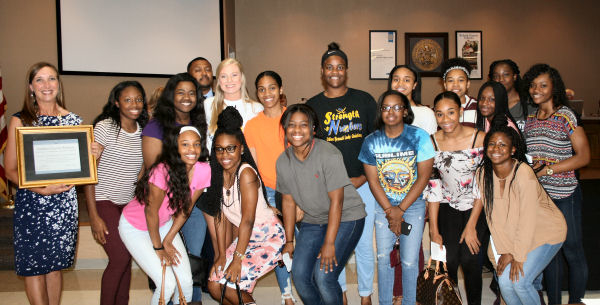 During the spring, they partnered with Leadership DeSoto through the DeSoto Economic Council for their “Service Day.” Groups were divided into four teams. They went to the House of Grace Thrift Store, stuffed shoeboxes for soldiers who are overseas, participated in home restoration with Catholic Services, and made pinwheels for Child Abuse Awareness Month with Healing Hearts. “The SYLC members were able to meet and bond with Leadership DeSoto adults and serve with them that day. It was a positive learning experience for all,” Goss added. Goss said that students acquire knowledge and awareness over the two year commitment to SYLC. “They gain an understanding of leadership, with a focus on Governmental and Entrepreneurial Leadership,” she added. Each year the 32 students are taken on a trip as a hands-on learning experience of leadership. They see firsthand how leaders work in the corporate, as well as governmental world, through “travel learning.” This year they went to Washington, DC. The prior year, they went to New York City. Program sponsors include The Homer Skelton Foundation, The Maddox Foundation, Delta Regional Foundation and Williams-Sonoma. Students also work to provide funding for their trips. Superintendent Cory Uselton said, “"I have enjoyed seeing our SYLC students complete several community service projects this school year. Our students are learning, but they are also helping to make our community an even better place to live. This group excels in the classroom and outside the classroom, and I am proud of all of their accomplishments." 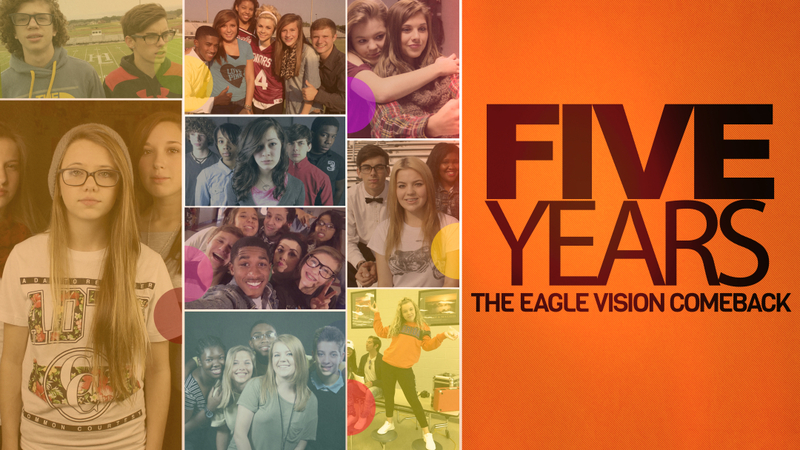 "Mr. Shands and I were honored to work with this excellent group of students. 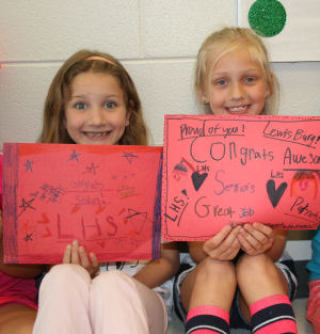 We look forward to seeing where the future takes these young leaders," Goss said. "We appreciate the commitment of our sponsors. It has opened multiple doors for this group." 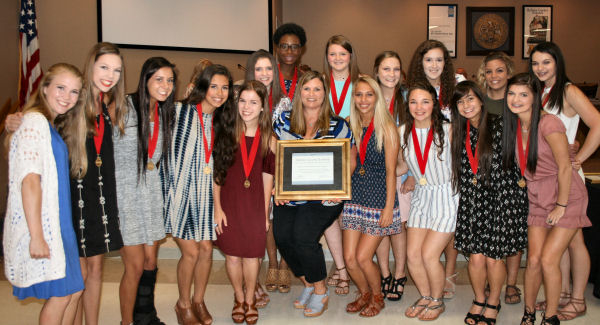 A love of music, work ethic, talent and heart has earned Horn Lake High School’s choral seniors the opportunity to continue their education. 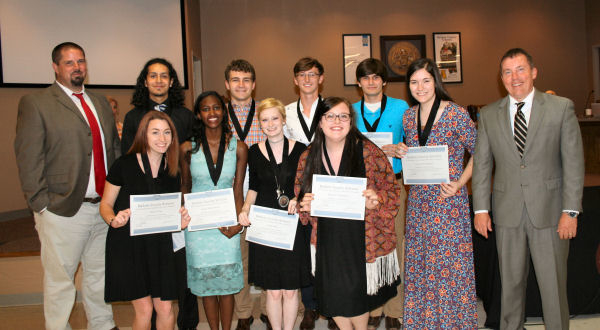 Twelve senior choral students were offered more than $130,000 in college scholarships. 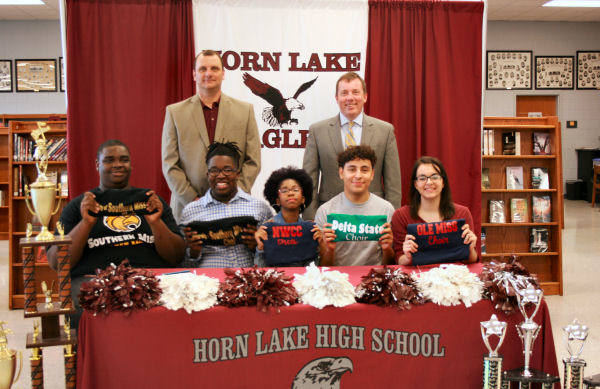 Five members of the prestigious group knew where they wanted to continue their education and participated in a “signing day,” accepting a college offer and signing a letter of intent as athletes often do. Parents, faculty members and administrators were on hand for the event in Horn Lake High School's library. The person who wore with the biggest smile was choral director Holly Beck, who has nurtured the talents of this group since middle school. Offers were made by the University of Mississippi, Northwest Mississippi Community College, Delta State University, University of Southern Mississippi, Mississippi College and Tougaloo College. Zathomasious “Tiko” Jones will attend the University of Southern Mississippi and major in biology and vocal performance. Kathrine Pignataro is going to the University of Mississippi and study music education. Jamareus Freeman plans to go to the University of Southern Mississippi and major in choral education. Shaune Scott will go to Northwest Mississippi Community College where she will sing in the choir and pursue a degree in respiratory therapy. Javier Bustillos is headed to Delta State University where he will participate in their music program and study flight operations. Superintendent Cory Uselton attended the event, congratulating each student on their future plans. In this age of text messages and emails, many kids may think it is strange to write a letter using a pencil and paper. But one first grade class at Lewisburg Primary School discovered unique benefits from “adopting” an 89-year-old pen pal from Wesley Meadows Retirement Home. Their story will appear in a book that will be read around the world. Chicken Soup for the Soul: Inspiration for Teachers has a new edition. One story describes what it meant to become a pen pal of a first grade class. It was written by Tracy Kirk Crump. She brought a copy of the book to present to the class who made her story possible. It was her father, Terry Kirk, who at 88 became a celebrity for the first grade students and communicated with them on a regular basis. This was a man who had lost his wife and had a medical condition that made his hands numb. Due to the numbness in his hands, he could barely sign his name and could not pursue his interests of photography and wood carving. Barbara Bouton coordinated activities for the elderly residents at Wesley Meadows. Penny Martin, counselor at Lewisburg Primary School, contacted Barbara and asked if residents would write students. She knew these students would write back, and get practice using their writing skills. What she did not know was that they would become friends. A Pen Pal program was in place. Since Terry Kirk had limited use of his hands, it was Barbara’s job to take dictation and write his responses to the stack of 25 cards and letters that arrived. In his first correspondence, he described himself to the students, sharing personal facts like his love of woodworking. He also told them how he spent a year in Japan at the end of World War II. He returned home to become a professional photographer, specializing in medical photography. On Kirk’s first visit to the classroom, he took examples of his woodwork. This 6’7” man was in a motorized chair. Kirk’s daughter was afraid the chair might scare students. “Our kids loved his chair,” said Ashley Kirk, first grade teacher at LPS. The two Kirks were paired because they shared the same last name, even though they were not related. Students had question after question about Terry Kirk’s life and his hobbies, and wanted to tell him about many experiences in their lives. His woodworking in particular, a carved ball inside an intricate cage of wood, fascinated the students. They were not the least bit intimidated by this gentle giant. Kirk got a stack of red and green cards at Christmas. Then there was the Valentine Party. Kirk came to their classroom. Each student made him a special card, and handed it to him, one by one. When his daughter asked Kirk about how the classroom visit went, she said she was surprised by her stoic father’s reaction. His eyes filled with tears and he told her he felt like a hero. Kirk died one month after his visit to the classroom. A journey down “D Hall” at Center Hill High School produces a likely chance that the smell of a delicious soup or dessert will be wafting through the air, according to CHHS Principal Doug Payne. 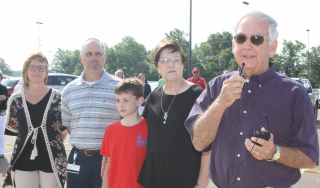 In a surprise recognition ceremony, Farm Bureau officials came to CHHS to make the announcement. Pilcher assumed she was attending a faculty meeting; however, she realized when she walked into the room and saw her family, a cake, balloons and faculty members that the event was in her honor. “Mississippi Farm Bureau will send Pilcher to the National Ag in the Classroom Conference in Kansas City in June,” said Deniese Swindoll, Mississippi Farm Bureau Federation, District 1 Women’s Chair. 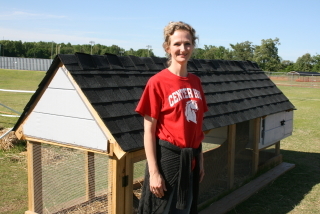 With a combination of $2,500 in grants and help from the Career & Technical Center—East, Pilcher developed raised beds for growing vegetables and herbs, a strawberry patch, a chicken coop, a small greenhouse, and a club with more than 70 members who assist her year-round. Various studies show that students who participate in gardening have a considerable increase in their grade point averages, utilize new learning styles, and develop their perspectives and ways of learning to incorporate critical 21st-century skills such as "curiosity, flexibility, open-mindedness, informed skepticism, creativity, and critical thinking.” Students explain that Mrs. Pilcher is passionate about healthy eating and good nutrition. “She has taught us about plants and how to design and maintain a healthy diet,” said 11th grade student Karina Prado. “Mrs. 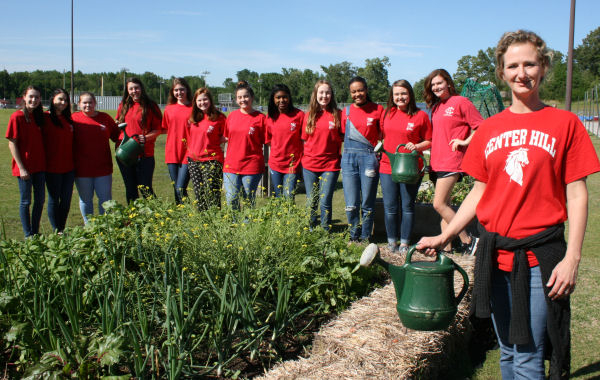 Pilcher stresses the importance of why we should strive for nutrient-dense foods.” Karina is a member of the Family, Community, and Career Leaders of America (FCCLA) Club which cares for the garden activities. 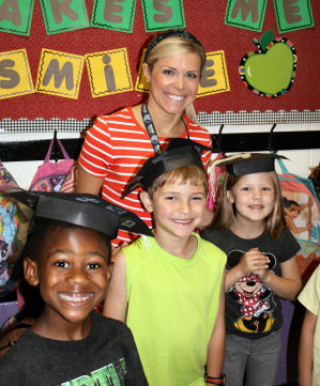 Winning this statewide honor is nothing new for DeSoto County Schools. 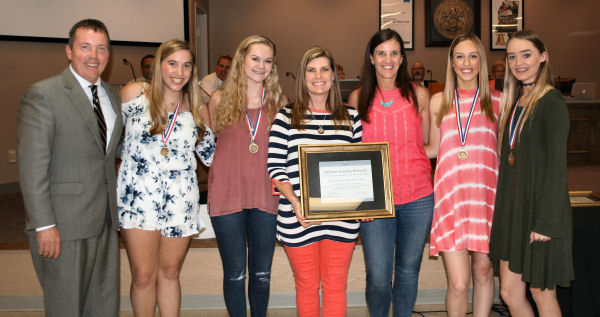 Pilcher is the third teacher to earn this honor. Other winners include Todd Willis and Tiffany Lyles, teachers from Pleasant Hill Elementary School. 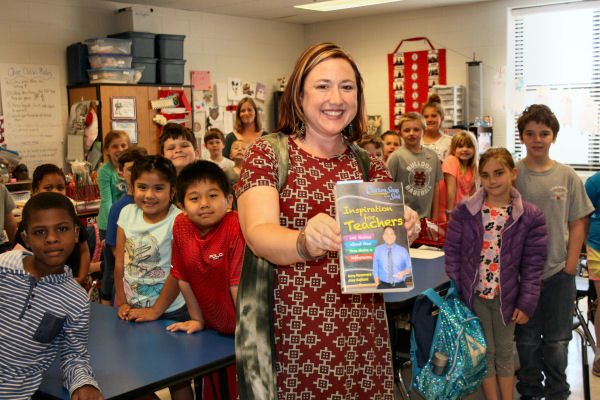 Mrs. Pilcher will be the cover story for Mississippi Farm Bureau’s quarterly magazine. 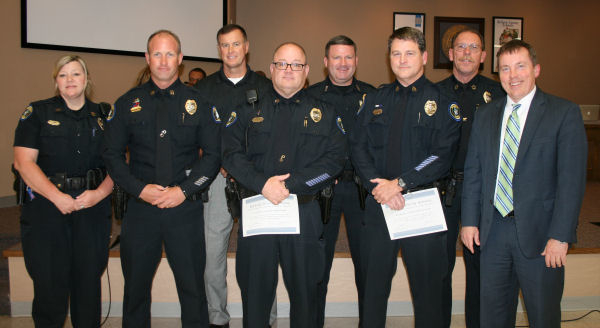 Two retiring Southaven School Resource Officers were recognized by DeSoto County Schools’ Board of Education. Sgt. Gaston McCormick and Sgt. Joe McPherson were honored for their service to schools and their community. Many of their co-workers, Southaven Police Chief Steve Pirtle and Southaven Mayor Darren Musselwhite attended the meeting as a show of support. School Resource Officers are sworn law enforcement officers who are responsible for providing security and crime prevention services in schools. Notes will sound a little sweeter from Horn Lake High School’s award-winning band. They received a Community Partnership Grant from Entergy Charitable Foundation which will pay for a new euphonium. The euphonium is part of the brass instruments family. The euphonium is the tenor voice of the tuba family. According to HLHS Band Director Heath Hopper, this is a sound his band needed. With a stretched budget, he felt the purchase of this one instrument was simply too expensive. “Music is the Key” was the name of his grant proposal. He explained how research shows music education improves students’ academic performance. Hopper believes that active participation is imperative. To keep students actively engaged requires a steady supply of new instruments. Hopper said he constantly seeks grant opportunities to expand his budget to give more students the liberty to participate. 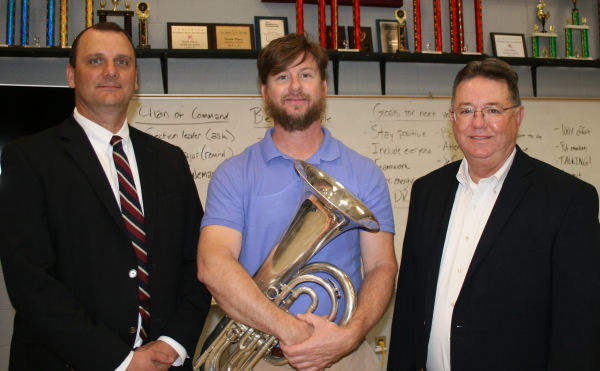 Don Arnold, regional customer service manager for Entergy, presented a check to HLHS Principal Andy Orr and Band Director Heath Hopper to make the euphonium purchase. 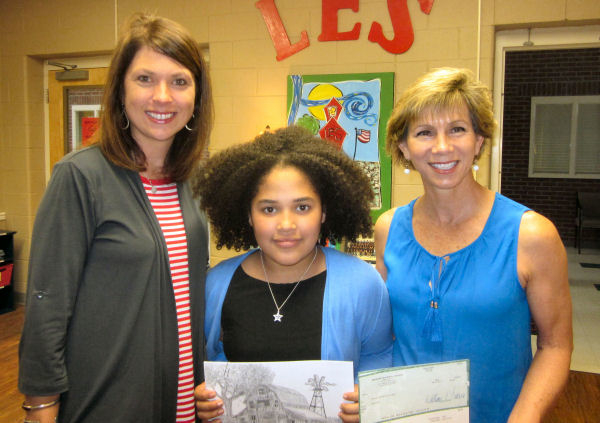 The 2017 Mississippi Farm Bureau Foundation revealed the winners of its annual art contests, and three DeSoto County School students walked away with smiles on their faces and money in their pockets for their artwork on agricultural themes. Kiley Ward, a 4th grade student at Lewisburg Elementary, received $200 for winning a top award in the Farm Bureau Ag Art Contest. From left, Amanda Samples, principal at LES, Kiley, and Dr. Sandy Slocum, Agricultural Education Specialist. 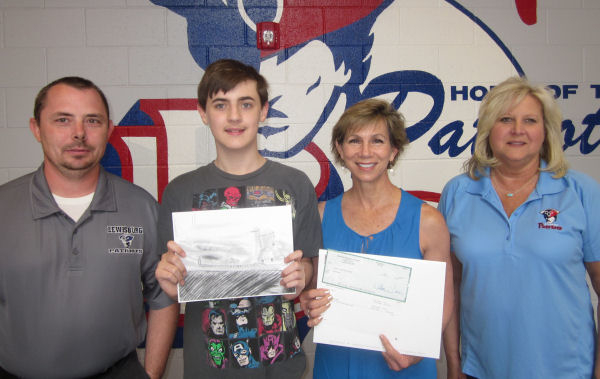 Erik Skogmo, a 6th grade student at Lewisburg Middle School, won $100 for his participation in the Farm Bureau Ag Art Contest. From left, Shane Wigley, assistant principal at LMS; Erik; Dr. Sandy Slocum with Farm Bureau, and Cheryl Smith, assistant principal at LMS. 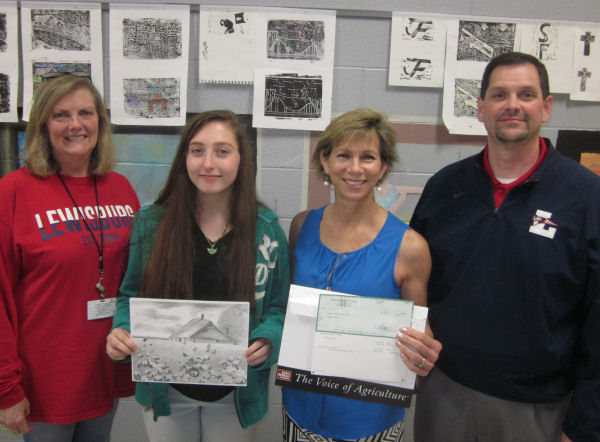 Catherine Atteberry, a 9th grade student at Lewisburg High, received $100 for her agricultural picture that will appear in the statewide Farm Bureau calendar. From left, Vicki Maddox, art teacher at LHS; Catherine; Dr. Sandy Slocum with Farm Bureau; and Chris Fleming, principal of LHS. 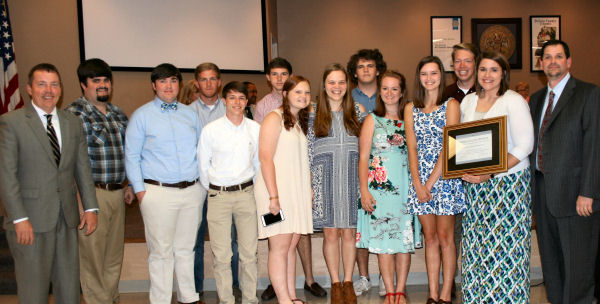 “In addition, these students received rosettes and $25 in cash awards for being selected as county and regional winners,” said Dr. Sandy Slocum, Agricultural Education Specialist for Farm Bureau Foundation. Dr. Slocum noted their artwork will be featured in the 2018 Mississippi Farm Bureau calendar that will be distributed throughout the state. 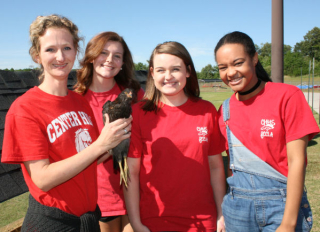 Mississippi Ag in the Classroom is a school-based program assisting students in grades K-12 to acquire a broader knowledge about agriculture and how it affects their world. The program’s objective is to encourage educators to teach about the critical role of agriculture in Mississippi’s economy and society. Two DeSoto County School brothers have distinguished themselves as powerhouses in the debate world, and they have a shelf of trophies to prove it. Constantly working to improve their style, technique and public speaking strategies, this dynamic duo from DeSoto Central High School was named the Mississippi High School Athletic Association’s 2017 Public Forum Debate Champions for the third consecutive year. The MHSAA Speech and Debate Championship is much like a state championship track meet. There are about 20 different events. Atticus and Silas Nelson have established themselves as getting their points across clearly and effectively, leaving little room for opponents to question or discredit their statements. They have also perfected how to engage the audience, invoking intelligent responses and enthusiastic participation. This formula distinguishes them from the crowd of contestants vying for the title. “Ethics, emotions and rationality are the key factors judges look for in a debate,” said Emily Nelson, director of leadership development for DCS and proud mother of the winning team. 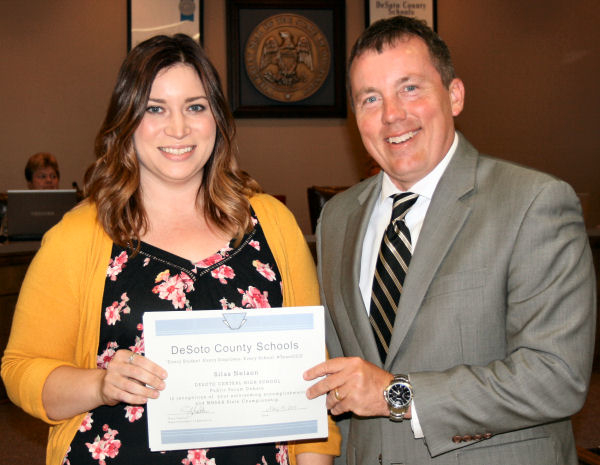 Over the last ten years, Mrs. Nelson has built DeSoto County Schools’ debate program from the ground up. Her boys spent many weekends traveling with their mom to debate tournaments around the Mid-South. Atticus and Silas were not passive guests. They were learning the art of debate from the best. Atticus Nelson has recently earned other impressive titles including: MHSAA 2017 Congressional Debate Champion; MHSAA 2017 Extemporaneous Speaking Champion and MHSAA 2017 Speech and Debate Overall Individual Champion. 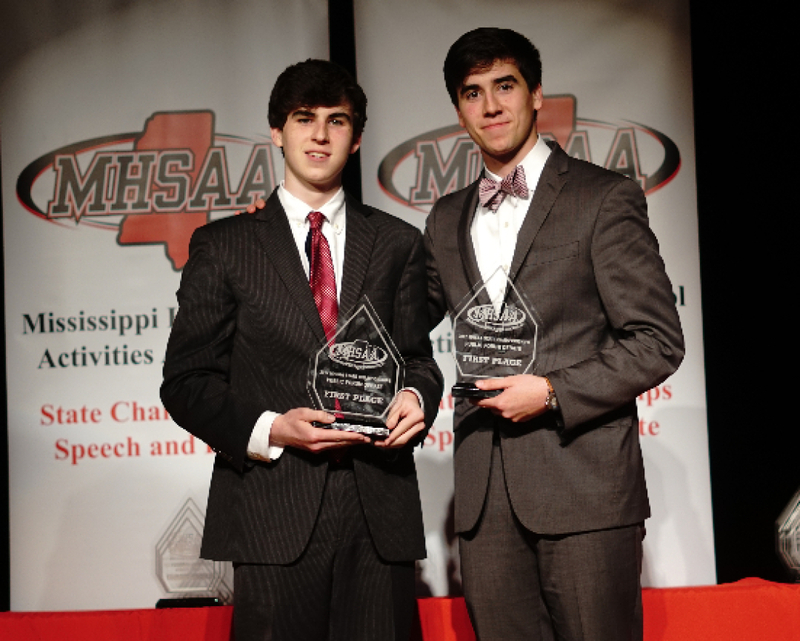 In addition, Atticus and Silas Nelson are the first students from DeSoto County to achieve the level of “National Speech and Debate Association Academic All Americans.” To achieve this national distinction, a NSDA member must be an active participant at the high school level for at least five consecutive semesters. A member must earn a minimum of 750 NSDA points through competitions. A member must have a GPA of 3.5 or higher and earn a 27 or higher on the ACT. Members must display an honorable character appropriate for their school and the NSDA. NSDA is the oldest national honor society in the United States for high school students. 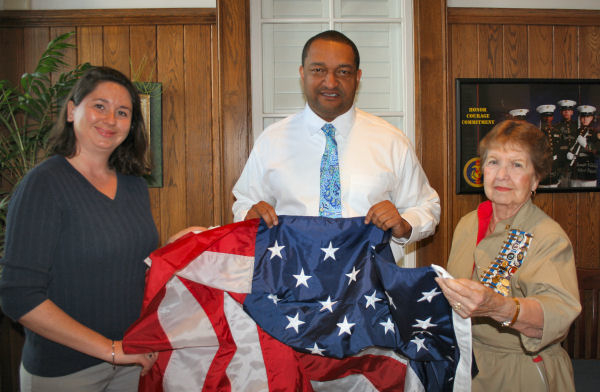 A number of patriotic individuals and groups like to see new, fresh American flags flying at DeSoto County School District’s 42 schools, like the Felix LaBauve Chapter of the Daughters of the American Revolution. DAR Members Nicole Smith and Sandy Brent presented twelve flags to Keith Williams, DeSoto County Schools’ Associate Superintendent of Operations. There is an ongoing program designed to provide new American flags at all schools each year. Faithful groups that support this program every year are DeSoto County Republican Women, The Anderson-Jordan Detachment of the Marine Corps League, The American Legion Post 10 and The American Legion Post 1990. Individuals have also donated funds for the flag program to honor a loved one, friend or family member as a memorial. Contact the Communications Department at 662-449-7122 if an organization or individual would like to participate in the program. 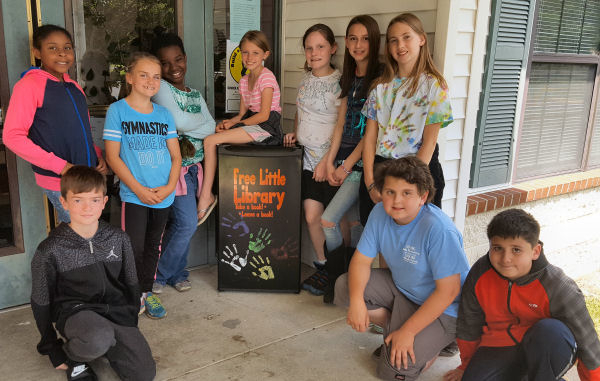 Walls Elementary School's 4th and 5th grade Beta Club's service project for the 2016-2017 was a Free Little Library. Students brainstormed the idea and decided to use an upcycled mini fridge to house the books. They also received a large donation of books from Career Tech East. The Free Little Library can be found at the Dehon Learning Center in Walls. Please come "Take a Book or Leave a Book!" 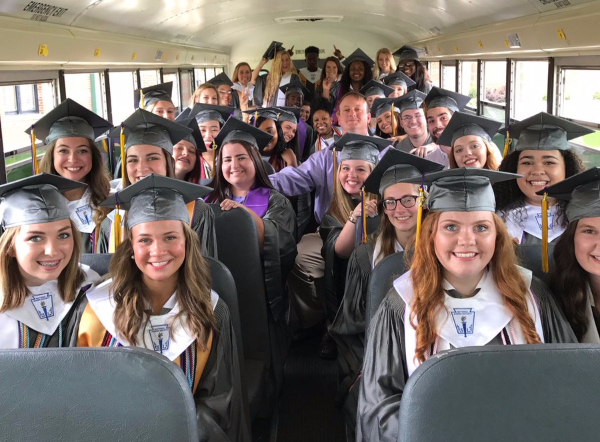 From the moment kindergarten students step onto buses…until they walk across the stage to receive their diplomas, an amazing transformation takes place at DeSoto County Schools. Somehow in this 13 year time period, they develop into college and career-ready individuals. To celebrate this accomplishment and to inspire young students, a new tradition has evolved at high schools. Seniors, clad in caps and gowns, walk the hallways of the district’s elementary schools with the traditional graduation march playing on the intercom. 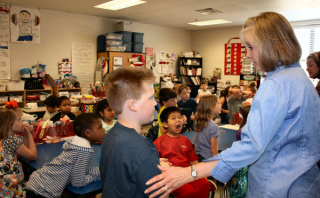 Elementary teachers spot former students and often have tears in their eyes. Sometimes a senior spots a former teacher and stops to embrace her or give her a high 5. It is an emotional event for young students, teachers and seniors. While some of these students had never held a pencil when they started school, they were quick learners. This graduating class of more than 2,000 students has a long list of accomplishments. All high schools earned one or more state championships. 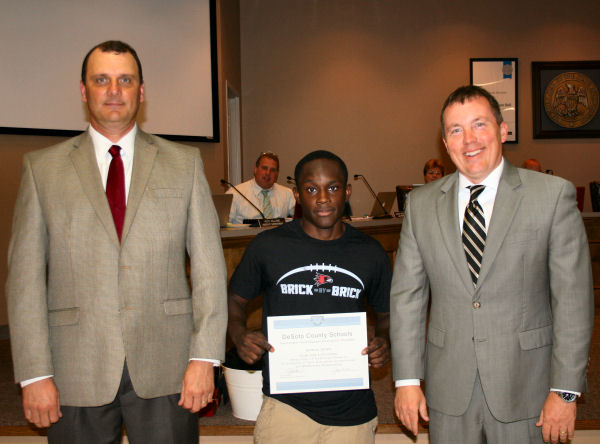 There were 118 seniors who scored 30+ on their ACT and one senior scored a perfect 36. 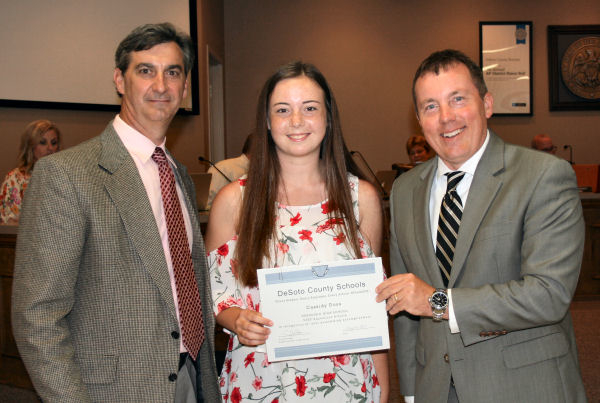 There were 14 National Merit Finalists and more than $66 million in scholarship offers, a new record for the district. How did this happen? There is a two word answer—their teachers. DeSoto County School District has teachers who understand they have a moral obligation to serve others. DCS has teachers who teach by example and communicate they care about their students as individuals; teachers who volunteer to tutor students after school or teach and re-teach a subject until it is fully understood. 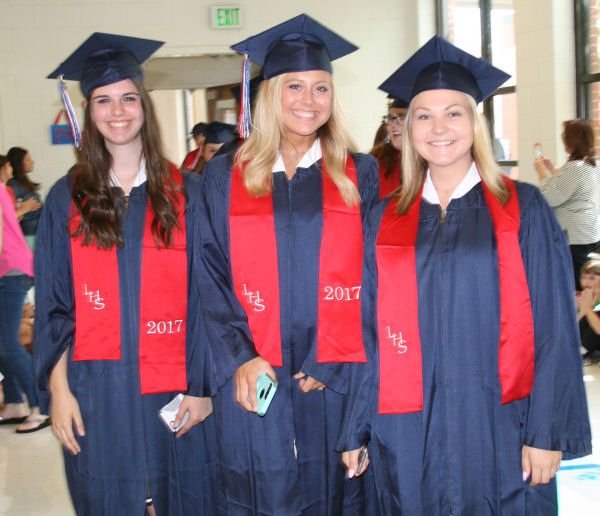 When these graduates receive their diplomas, they leave DeSoto County Schools with the knowledge that they are walking away with a degree from an “A” school district that is regionally and nationally recognized as a system of superior performing schools. They also realize all things are possible. 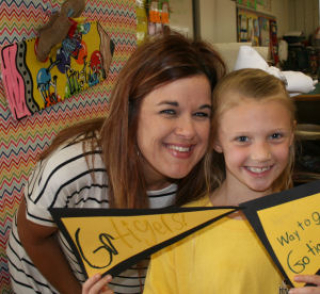 No one can ever take away the fact that they have been part of a winning team -- #TeamDCS.